MISPRICE? Boat Oil Paintings - Only £2.20! PERFECT GIFT:A perfect Christmas presents and New Year gifts for your relatives and friends. A perfect wall decorations paintings for living room,bedroom,kitchen,office,hotel,dining room,bathroom,bar etc. We use high quality canvas, waterproof ink and safe acrylic paint only for all of our canvas print and painted wall arts. 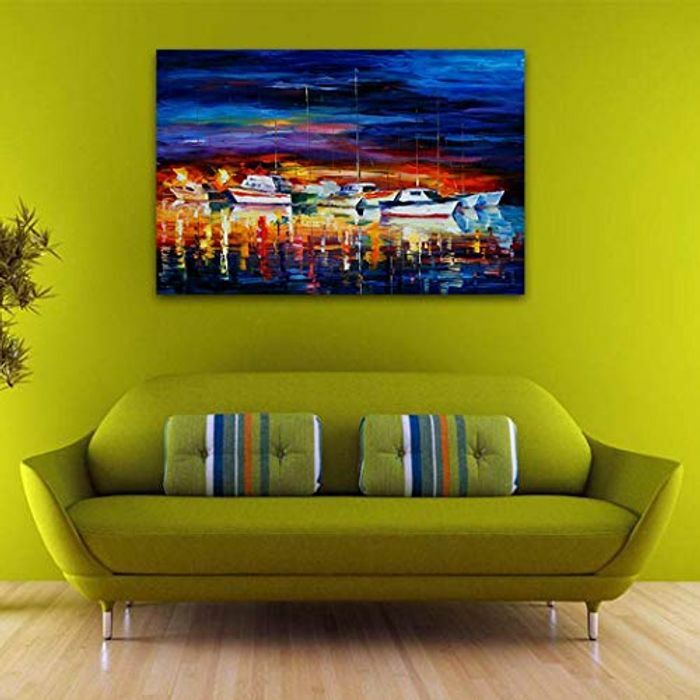 You will be amazed at the quality of these canvas wall art and may notice the artists' passion for art. Decorative canvas oil paintings suit for home,bar,restaurant and social occasions decorations. Even though they're prints, it's still a beautiful one, I opted for the largest size, and received the discount, so I'm happy. Thanks. It's a nice find. I wanted to decorate my wall since long time ago. Thank you so much for this beautiful painting. Wow what a great find. It's a nice price too. Thank you for sharing.